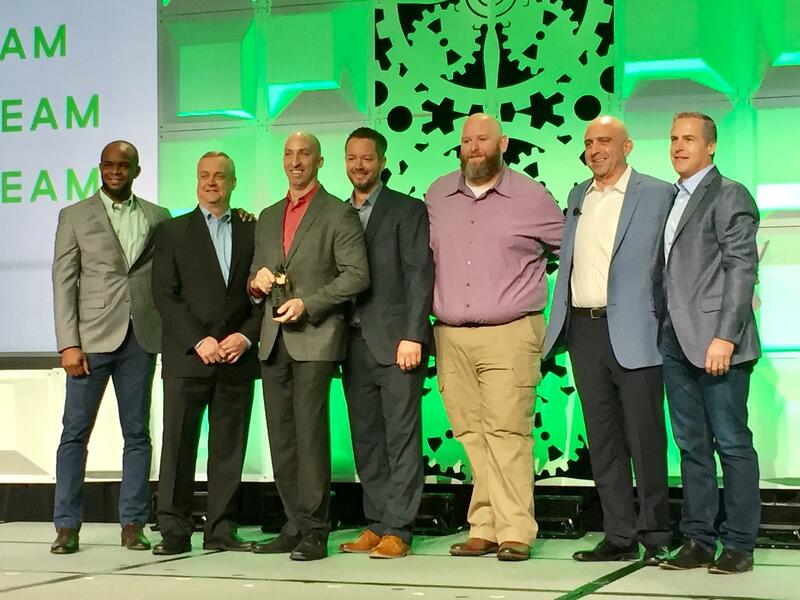 OffsiteDataSync is named Veeam Partner of the Year | OffsiteDataSync, Inc.
Don’t expect a big speech from us! It’s an incredible honor to be chosen. The recognition speaks volumes to what our customers and our partners already know, so thanks, but don’t expect a formal or wordy speech from us. Instead, we’re recommitting ourselves to you. Over the next several months, you’ll see a series of 2-minute videos from our team and take a virtual tour of our organization and our people. We’ll share personal testaments to the qualities that elevate Veeam’s Impact Partner of the Year above the rest. What does this mean for you? You’ll learn first hand over the next few weeks. We’ve got big things in store for you. Webinars, enablement programs, and a few surprises. Hey, you’re excited! So are we, and you can read more about our fantastic year here. Take a deep breath, – we’ve got work to do in 2017.